Baccarat #1 delivers sweet, creamy, and woody flavor with a mellow body in a traditional 7x44 Lonsdale vitola. The cigars were very fresh and burned great. Great mild cigar, I enjoy reading my orning paper with a nice cup of coffee and a Baccarat #1. No better way to start the day. 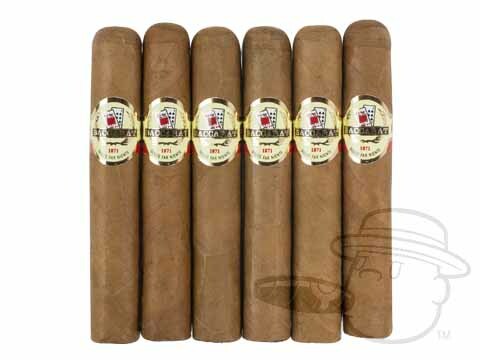 a very mild cigar that doesn't have an offensive odor. They are very mild and do not have an offensive odor. I've been smoking this brand for long time. It's well made and I rarely find a lemon. If u like mild cigars this is for you! These are great cigars. They changed to way they package them and is hard to get the last two rows of cigars out of the box. They used to turn the cigar on the far right side upside down and you could easily pick up the end of the cigar but now they have them all facing up with a ribbon under them and you pull on the ribbon and they come but the ribbon slides out before you get to the bottom and you have to turn the box over and pound on the bottom to lossen the last two rows. What a great cigar for the price. Burns great, no bite, easy draw. A great cigar during around of golf or sitting on the deck enjoying a cocktail and living the dream. GOOD TASTE AND LONG ASHES. JUST A LITTLE BIT SWEET ON THE TIP. I have been smoking these for quite a few years. They can be 'hit or miss'...sometimes they are just ok, and other times they can be very good and flavorful. I keep buying them anyway, because they are priced right. BURNS EVEN. LITTLE TO NO BITE. GREAT SMOKE FOR THE GOLF COURSE OR JUST SITTING OUT ON THE PATIO. GREAT SMOKE AT AN AFFORDABLE PRICE. A truly outstanding cigar! A very good sweet tip adds a pleasurable experience to this treasure. And at this price!? 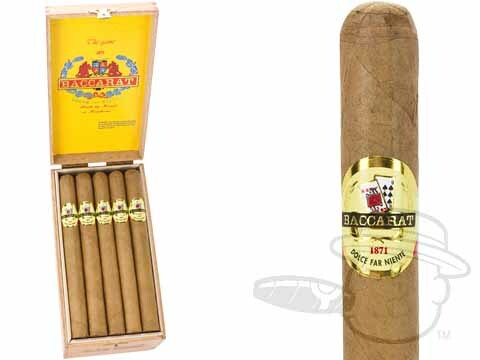 Baccarat #1 can easily outdo $10-15 cigars. I recommend this especially to new cigar smokers; you will NOT be disappointed! Baccarat #1 is rated 4.6 out of 5 based on 21 customer ratings.